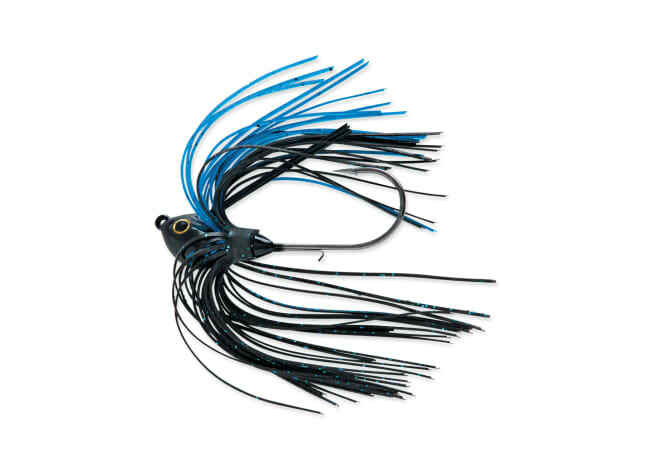 When fishing submerged grass, what's better than a well-built swim jig? This Terminator Swim Jig features a balanced head and 30 degree VMC hook, giving the bait the ability to slice through weedy cover. With whatever trailer you choose, the accented QuickSkirt pulses and attracts fish from far and wide. Tie it on and hold on tight!